Trevor --Can you give the fans a little tidbit on what Mike Marts does outside the office? Mike Marts --I’m recently married and proudly live in New Jersey. When I’m not drowning in a sea of comics, I like to come up for air and spend my time watching the Yankees win. I also enjoy playing football and making fun of my assistants. Besides my wife, my best friends are my iPod and my DVD player. Trevor --Can you give us any hints about the upcoming X-related minis that are coming out in the next couple of months? Mike Marts --X-MEN: KITTY PRYDE – SHADOW & FLAME will be a lot of fun. Akira Yoshida (AGE OF APOCALYPSE, X4: X-MEN/FANTASTIC FOUR) writes this five issue limited series, with legendary X-Men artist Paul Smith handling the artwork. This series will appeal to new readers of ASTONISHING X-MEN, classic fans of the 80’s X-Men--and everyone in between. Watch for Kitty Pryde and her cute dragon Lockheed in June! NEW X-MEN: HELLIONS is a four issue series by NEW X-MEN writers Christina Weir & Nunzio DeFelippis—and truly amazing artwork from Clayton Henry (ALPHA FLIGHT, EXILES). This series stars the Hellions—the young troublemaker upstarts of the Xavier Institute—and is a must-have for any NEW X-MEN fan. Trevor --I recently read in an interview that Marvel will not be treating this crossover as it did the Dissembled Crossover. 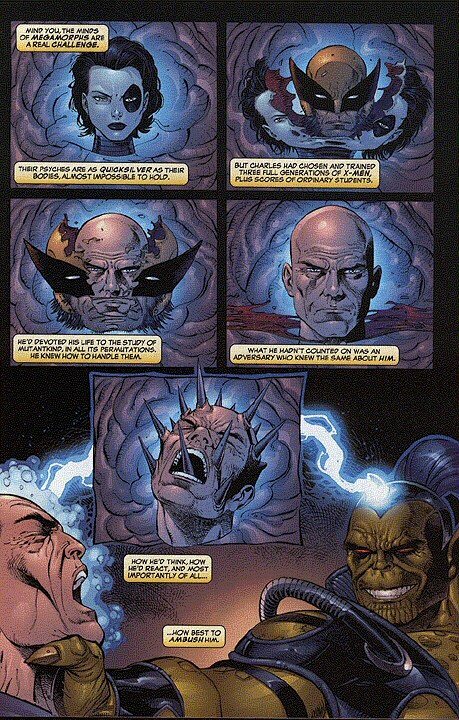 How important will the current titles' stories be compared to the House of M series? Mike Marts --The HOUSE OF M series acts as the backbone of the entire event. Readers can pick up this eight-issue limited series and get the full House of M story without having to read any other titles. BUT—people who just pick up the limited series will be MISSING OUT on all of the other exciting stories that tie in to this amazing event. UNCANNY X-MEN, FANATSTIC FOUR, IRON MAN, NEW X-MEN…these are just a few of the titles participating in the House of M.
Trevor --Will the relationship between Rogue and Magneto come into play within the House of M? Trevor --Will the recently revealed relationship between Polaris and Magneto be addressed in this series? 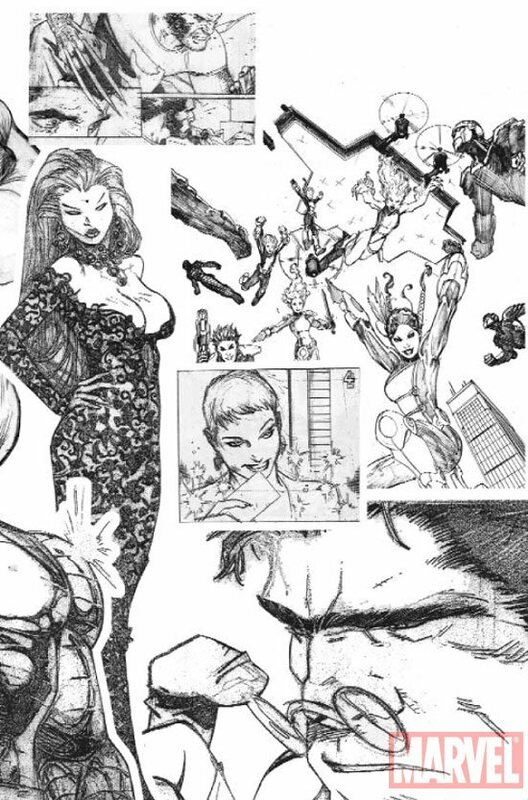 Trevor --The core X-Men teams seem to be present in preview images. Will we see the cast of EXCALIBUR play a role? Mike Marts --Watch upcoming issues of UNCANNY X-MEN for some exciting EXCALIBUR developments! Trevor --It was said recently at a Wizard World Los Angeles, Q & A that District X would be changing after the House of M, can you elaborate on this? Mike Marts --Without revealing too much, let’s just say that the neighborhood of District X will NEVER be the same. Trevor --Can you give us a breakdown of what X-Related titles are coming out this Wednesday? Mike Marts --This Wednesday we have some great comics coming out. 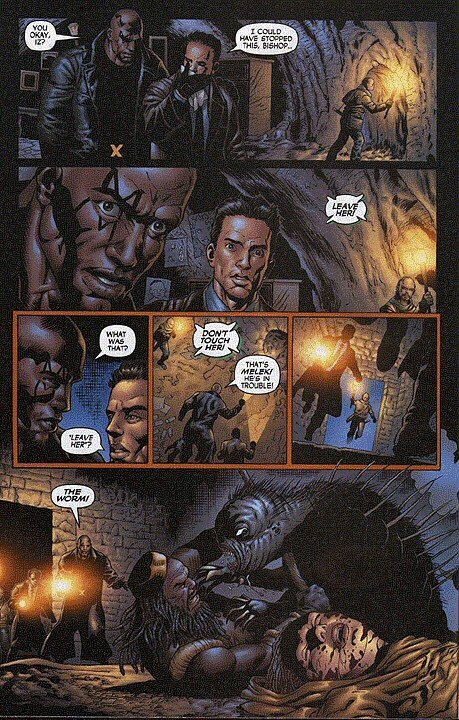 DISTRICT X #12 wraps up the “Underground” storyarc—where we learn the fate of the Worm! EXILES #62 kicks off “Timebreakers” the four-part secret origin of this reality-hopping team of mutants! 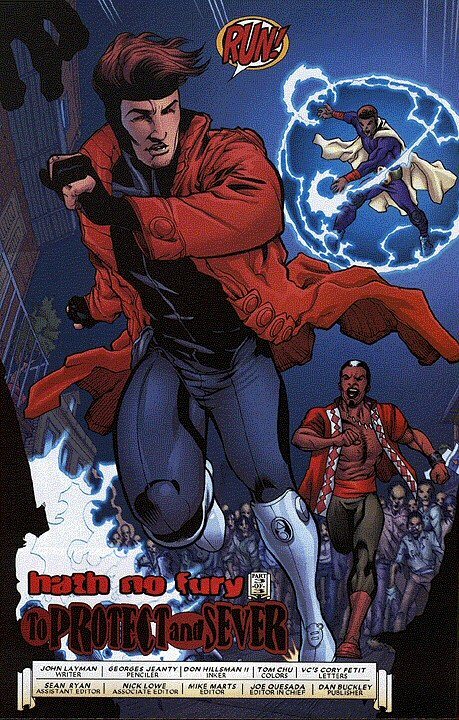 Brother Voodoo guest stars in GAMBIT #9! Get your “Ultimate” fix of X-Men in ULTIMATE X-MEN #58, and don’t miss out on X-MEN THE END HEROES AND MARTYRS #2!